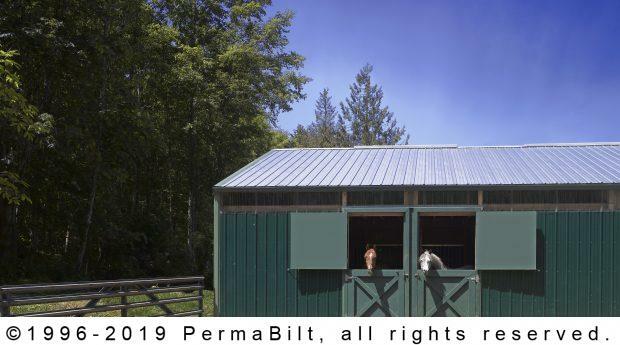 Whether building a garage, shop or pole barn, the details can be overwhelming. 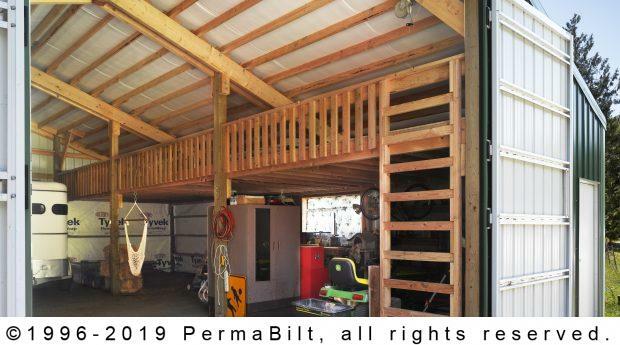 That’s why so many customers are grateful when they sit down in their home with their PermaBilt® Building Representative. At that point they are getting the expertise and consultation they require to move forward with their building plans. 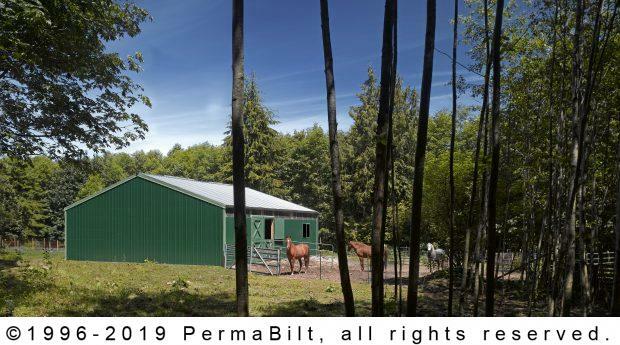 Many pole barn owners employ sliding doors but our Port Angeles Washington customer wanted something a bit different. 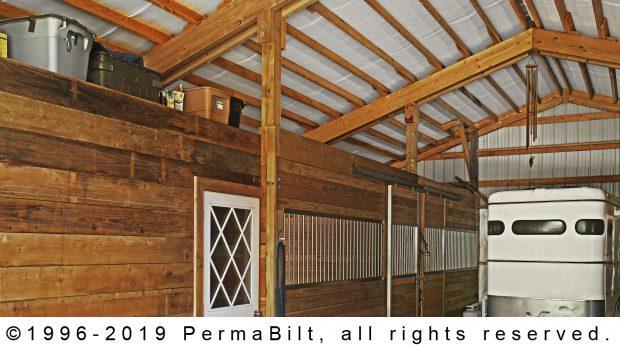 Our PermaBilt® team designed unique, hinged, outward swinging doors that were large enough for our client’s needs in this horse pole barn design. 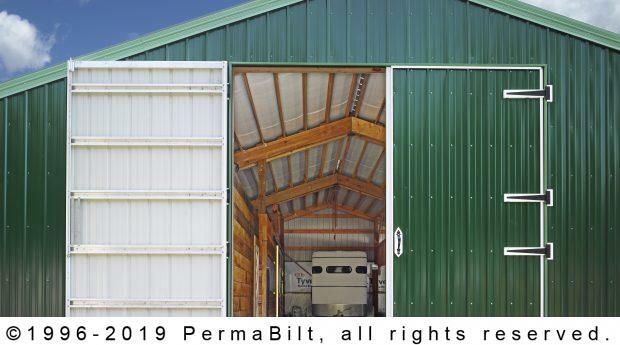 The door design we created is what we at PermaBilt® call Lawson Doors – named after the customer. As they say, necessity if the mother of invention. 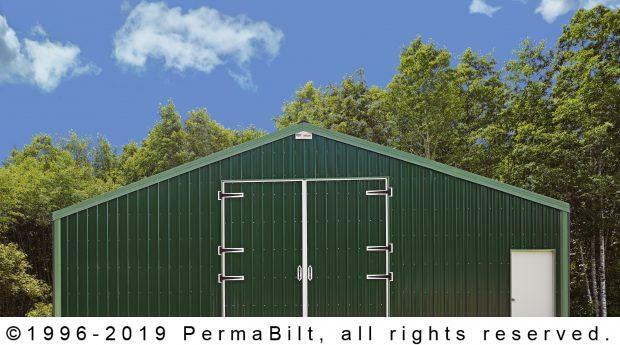 We have added these doors to our product line. 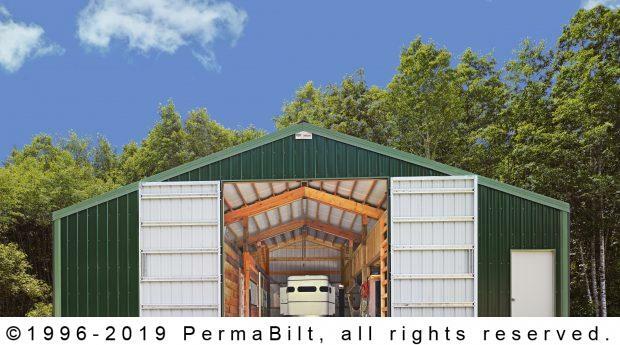 Each door comes with 18” steel black hinges, 10” black steel handles, one 18” galvanized cane bolt interior and one 6” galvanized chain bolt with pull chain and strike plate on each side. Additionally, several styles of these doors are available depending on the desired look. And this all came about because we wanted to make our customer happy. 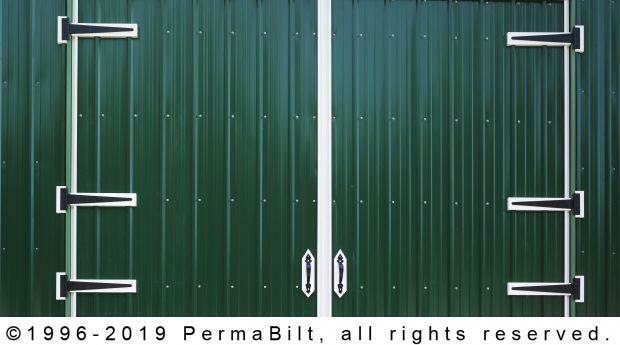 Now, we offer these type of doors to all our customers.